Posted 4:07 am by admin & filed under Gloves, Products. Pleated double elastic line, it can prevent hairs falling to avoid possible troubles. The cap shall maintain their properties when stored in a dry condition. Avoid direct sunlight. 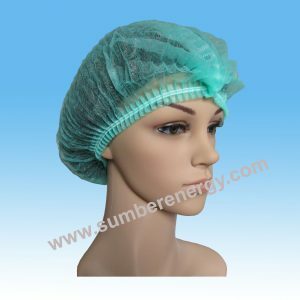 The cap shall have shelf life of 5 years from the date of manufacture with the above storage condition. Used in hospital, chemical industry, drugmarkers, sanitation environment.